I’ve written previously about the huge difference in pricing of eyeglasses, depending on where you buy them. My 11-year-old daughter’s first pair of glasses, purchased a little over a year ago, cost a couple of hundred bucks. That’s after our optical insurance paid its share. Ouch! Since then, I found out about other options for buying eyeglasses of the same quality, but costing much, much less. I took my daughter to Walmart Optical Center for her new glasses. She had her exam using the in-house eye doctor, but you can bring an eyeglasses prescription from another doctor, too. The optometrist had some good online reviews, and we were quite happy with her exam. Your mileage may vary – any optical chain will likely have some great eye doctors and some not so great ones. We also worked with a very nice gentleman in the Walmart Optical Center who quite patiently helped my daughter select her new frames. She picked out some of the most expensive frames offered in her size, and I selected the middle variety of standard lenses. The highest level has sun shading, which I didn’t want for her. Note for those who live in or near Raleigh: It’s the Walmart beside Triangle Town Center mall. And the cost was….a $15 copayment. And, there was a $15 copayment for the eye doctor since she participates with our insurance and bills them directly. The glasses arrived in a week, and the same man who helped her pick out her glasses adjusted them for her. I’ll probably get my daughter a pair of backup glasses from Coastal, where I got her last pair of backup glasses and where my husband has been buying his glasses (including a pair of prescription sunglasses). You can find cheap glasses in many different places, and don’t let anyone tell you that buying cheap glasses always means you’ll get low quality ones. We’ve had very good experiences with Coastal. I can’t speak for sure about the other options I’m about to list, but I’d appreciate any comments below from people who have tried them. 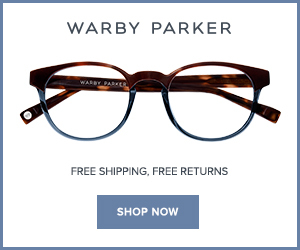 Warby Parker offers a free home try-on program. They’ll send five frames for you to try on at home so you can pick the one you like. They have a nice selection of frames and very reasonable prices. At 39DollarGlasses.com, you can get a complete pair of glasses, frames and lenses, for as little as $39. 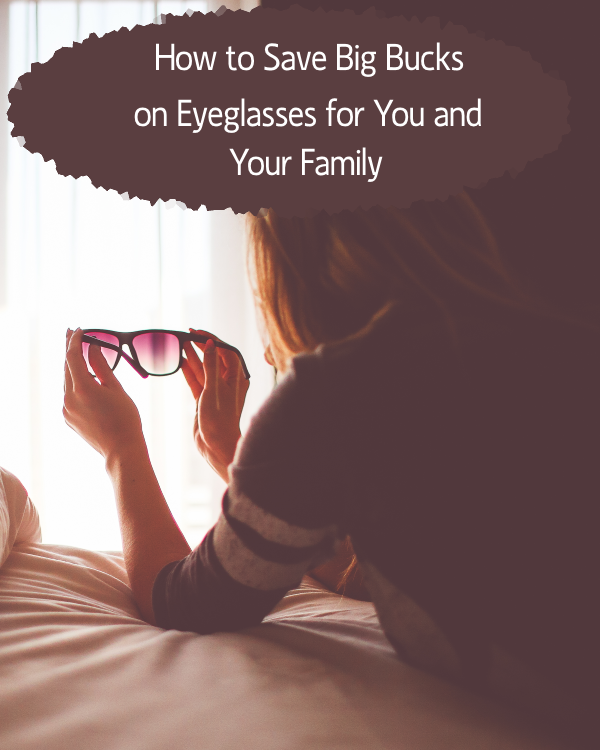 Where do you buy your family’s glasses? Do you feel like you’re paying too much for them?